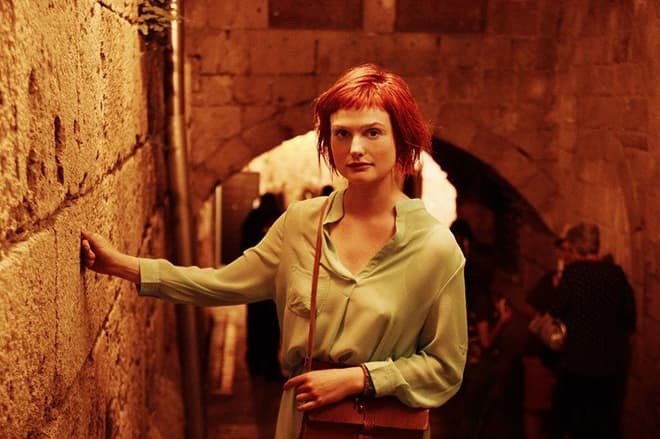 Alison Sudol, also known as A Fine Frenzy, is an American singer and musician whose songs regularly appear on the charts of the United States and Europe. Sudol’s songs have been picked up for soundtracks of notable films. Alison has recently appeared in movies, starring in the projects Transparent, Between Us, and Fantastic Beasts and Where to Find Them. Alison was born in Seattle to dramatic arts teachers, John Sudol, and Sondra Fraser West-Moore. When the girl was five years old, her parents filed for divorce, and Alison and her mother moved to Los Angeles. As a child, Sudol did not almost see her father, but they renewed the relationship when she grew up. From a young age, the future star listened to a wide range of music, and pop stars Aretha Franklin and Ella Fitzgerald influenced her style. 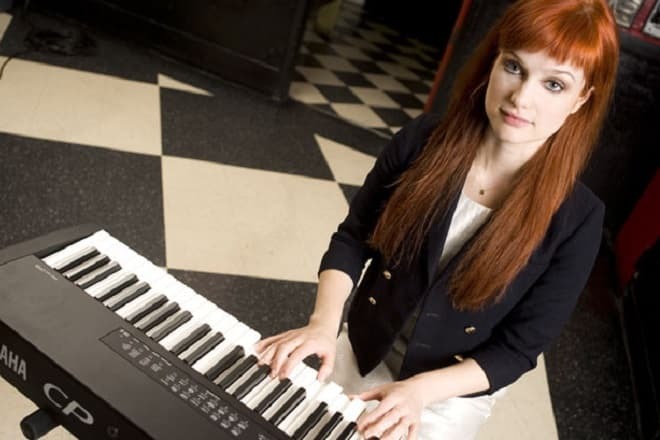 Alison Sudol also learned to play the piano. In high school, all classmates considered her a quiet "nerd," and the girl loved literature lessons most of all. Sudol studied English classical literature so well that later she used in her work the world-famous masterpieces of Shakespeare, Dickens, Trollope, Carroll, and others. Alison feared to enter college. The girl was sure that all students drank alcohol, smoked marijuana, and had noisy parties. Up to the age of 18, Alison had never tried either alcoholic drinks or cigarettes. But she was so interested in education that Sudol finally took a risk. In college, she created the first band, Monro, then took the moniker A Fine Frenzy. 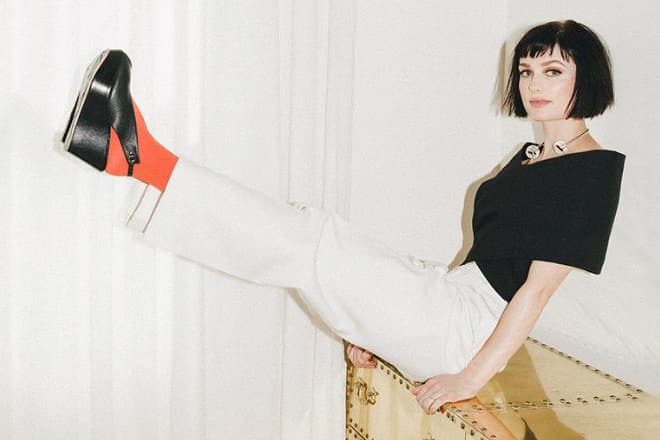 By the way, it is also a line from Shakespeare's play “A Midsummer Night's Dream.” Soon the singer's nickname became the title of the group, and recording studios began to receive short demos of the future famous singer and actress, Alison Sudol. At first, EMI's Jason Flom paid attention to her songs and signed a contract with Alison. In 2007, the singer's debut album, One Cell in the Sea, was released. The collection received positive reviews from critics, and the single “Almost Lover” peaked at number 25 on the prestigious Billboard chart. The song “You Picked Me” also became popular. They created music videos for the favorite tracks. Later, Sudol's debut album reached number one in Germany, Australia, Switzerland, and Poland. Her world tour and the appearance of the singer's video concerts on the Internet contributed to the popularity of the album. The second album, Bomb in a Birdcage, included such smash hits as "Blow Away," "Happier," "Coming Around" and "Electric Twist." It was less popular than her debut work, although the disc managed to peak at number 28 on the Billboard chart and became the top five best albums realized on iTunes. Alison Sudol also recorded the third album, Pines. Critics praised it again, but only the single “Now Is the Start” was a smash hit. It is interesting that Sudol wrote lyrics and music for many of her songs. Alison’s compositions became the soundtracks for series and movies. For example, the songs “Whisper” and “Hope for the Hopeless” were picked up for the highly rated medical project House, “Near to You” appeared in the TV series Wildfire, “Ashes and Wine” sounded in the thriller The Vampire Diaries, and “Lifesize” was in the romantic comedy How I Met Your Mother. It has transpired that Alison is not satisfied with her achievements in the film and music industries. The young woman is also interested in writing. Alison is passionate about writing fairytale fantasy books, where talking animals appear alongside human heroes. In 2012, the actress’s first book “The Story of Pines” was published. The same year, the story was filmed, and Alison played the title character named Pines. Since 1997, the talented girl began to appear in feature films. However, Alison first got small roles in the projects: Here Dies Another Day, Little Black Boot, CSI: NY. By the way, the girl was mentioned as Alison Monro in the credits of the first projects, and she sang more than showed her acting skills. The early works of the actress also include the melodrama The Gray in Between about teenage relationships. In 2014, the actress appeared in the comedy series Transparent about the family, where the father was a trans woman. A year later, Sudol's filmography included the role in the detective thriller Dig, where the actress played archeologist Emma Wilson. Jason Isaacs and Anne Heche also appeared in the project. In the film, heroes discover a plot during a murder investigation. Later, Elle named Sudol one of "The 7 Most Exciting Newcomers on TV this Season" in 2015. At the same time, Alison joined the cast of the melodrama Other People's Children. At the same time, Alison was cast in the fantasy film Fantastic Beasts and Where to Find Them. The young woman got the role of Queenie Goldstein, the younger sister of the title character (Katherine Waterston). Viewers and her colleagues also noticed that Alison looked like the 1960s screen star, Marilyn Monroe, so the produces created the image of Alison’s heroine similar to the film star. The movie was a commercial success grossing $ 840 million at the box office. This fact made the creators of the project continue working on its sequels. Besides, the actress starred in the drama comedy Between Us, released in the spring of 2016. The film focuses on the married couple who have tried many times to live in harmony. 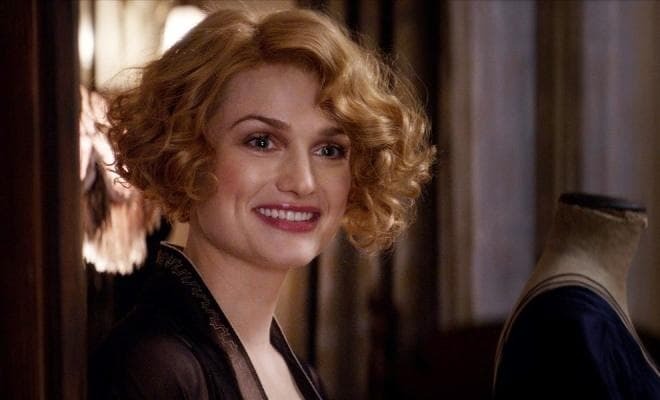 Congenital modesty and shyness also affect Alison Sudol's personal life. For a while, the woman was considered an enviable Hollywood bride, and she did not tell about her romantic relationships. Until recently, it has been known that Sudol devotes all her time to the career and does not think about a family and children. In early 2018, Alison pleased her fans when she finally appeared together with actor David Harbour, the star of the series Stranger Things. It seems that the artists have found common ground; they do not even mind a 9-year gap. It is unknown whether David will become Alison's husband, but the fact that he makes the actress happy is obvious. Alison and David appear and smile at all social events, and in February they both participated in the Greenpeace campaign to protect the Antarctic. Forty celebrities, including Gillian Anderson, Carlos Bardem, Javier Bardem, Vivienne Westwood, Alexander Skarsgård, Helen Mirren, Vanessa Redgrave have already supported the initiative of the environmental organization to create a reserve in the Weddell Sea and its surrounding area. The actress posted a photo and video of her trip to the Antarctic on her Instagram account. In 2018, Alison Sudol joined the ranks of trendsetters. She has short choppy bangs, which makes her look like a teenager. There are such Hollywood stars as Emma Watson, Sofia Boutella, Bella Hadid, Marion Cotillard and Penélope Cruz among the fans of the new hairstyle. Now the actress is busy filming in the movie Fantastic Beasts: The Crimes of Grindelwald, the second installment in the Fantastic Beasts film series. Viewers have already watched the teaser trailer for the movie, which received positive reviews from YouTube users. Johnny Depp will appear as a villain, and Jude Law will play his former friend, young wizard Albus Dumbledore. Katherine Waterston, Alison Sudol, and Dan Fogler will also portray positive characters. The long-awaited film is announced to premiere in November 2018. The net worth: 2 million dollars.